It's great to feel your enthusiasm for this hike, and helps motivate me at a low point in my hiking 'career' too. Good luck for the walk and I look forward to reading about it in the future. I've got this in mind for 2014 since we have another trip planned for next year. Look forward to reading about your journey Chris and good luck. Wow! This sounds amazing. And challenging for sure. Good luck. Hope you get a book out of it. Good luck with the walk next year, and thanks for the kind words about Walking the Watershed. For all the talk of Peter Wright and the watershed, it’s important to avoid Malcolm Wylie being airbrushed out of history – because Malcolm Wylie and not Peter Wright was the first person to walk the north-eastern version of the route. He did this in chunks of ten days or so, starting at Duncansby Head in July 1996, crossing the border in 2000 and very impressively pushing on through England to Land’s End, which he reached in June 2009 – see http://www.justgiving.com/malcolmwylie and also the article in issue 76 of The Angry Corrie (which isn’t online, sorry). As far as I’m aware, Peter Wright is the fifth person to have done the Scottish east/west watershed – after me (1987), Martin Prouse (1994), the late Mike Allen (again the whole UK route, 1988–94 and ending at Cape Wrath) and Malcolm Wylie – with Colin Meek’s mightily impressive run earlier this year being the sixth traverse, Here’s hoping you become number seven next year – and here’s hoping, too, that you will take care to acknowledge Malcolm Wylie’s precedence in such matters, because he’s a modest and very pleasant man who has been getting an extremely raw deal of late. Thanks everyone. Dave, thanks for the Malcolm Wylie link. I'll have to see if I can find that copy of Angry Corrie. I should have it somewhere. Your walk is the real precursor to mine as it was a continuous one - the only one to either of the possible finish points I think?. I'm aware of the grough article and debate. I'd like to list all those who've walked all or part of the watershed before in any extensive writing I do on the walk. Let me know if you can’t find that issue of TAC – I’ve still got a few copies in the house and can post you one. There used to be an online link to a Cambridge News article about Malcolm Wylie’s walk, but this doesn’t seem to be available any more. He has the beginnings of a watershed blog from 2009 here: http://britishwatershed.blogspot.co.uk/, but this hasn’t been developed – although it does include pictures from the start and finish of his walk (long stretches of which he did with his son Tim). Last I heard, he (Malcolm, that is) intended writing up the whole trip with a view to publication, but I don’t know the current state of play with this. Incidentally, the southern limit of the Scottish watershed isn’t Peel Fell – that’s merely the first time it meets the border if heading south. There are a further eight miles south-west of that, taking in the on-the-border hill Thorlieshope Pike (360m) and the north-of-the-border hills Foulmire Heights (396m), Loch Knowe (402m) and the moorland stretch of the Larriston Fells at a little over 500m. Just to the south of this is Hobb’s Flow and the actual terminus of the Scottish ’shed. As I was heading north in 1987, it was at Hobb’s Flow where I started (accessed via the forest track from Dinlabyre to the west), and I didn’t reach Peel Fell until day two of my walk. Thanks Dave. I think I am right in saying you are the only person know to have done an unbroken continuous walk though? From his account in The Scottish Mountaineer Colin Meek left the watershed for a more direct route in places due to time constraints (still a great achievement of course). Peter Wright describes Peel as the logical though not exact start of the watershed. I shall think about it. I can find the Larriston Fells on the map but not Hobb's Flow. Chris, I am the "modest and very pleasant man" so kindly mentioned by Dave Hewitt in his recent posts (thanks Dave!). Despite my modesty, I'm happy to confirm what Dave says about my having completed the Scottish Watershed in 2000, and that Peter Wright was aware of this when he published the Ribbon of Wildness. I don't really want to pick a fight with Peter over this. His initiative was independent of mine, and he's been much quicker off the blocks to publish. In addition, his research, and campaigning spirit for recognition and conservation of the watershed are admirable. I've started writing up my account of the full British Watershed (completed in 2009), and hope to publish in some format in 2014. Incidentally, Chris, I enjoyed your Munros and Tops, and I occasionally refer to it when I'm trying to optimise routes between the Munros. Since completing the Watershed, I've embarked on a Munro round - 196 so far. Best of luck with the trip, and enjoy the bog-hopping in the Flow Country! I can confirm Dave's comment about Hobb's Flow. Nothing much to write home about, but you might as well get the full experience. The precise point isn't marked of course - just a patch of heather. Malcolm, thanks for your response. Good to hear from you and congratulations on your walk. In any writing I do about the walk I want to credit those who have already done it - I also hope to avoid any controversy. I don't want to pick a fight with anybody but I do want to be fair. I look forward to reading your account. 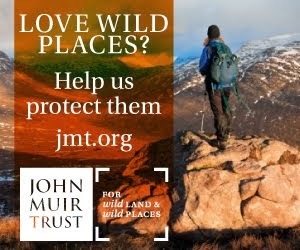 Good luck with the Munros. Hobb’s Flow is at NY567903 or thereabouts. As Malcolm says, it’s an unmarked and rather mundane spot, but it is the southern terminus of the Scottish section of the watershed. Re the “unbroken continuous” thing, my view is that, of the six known traverses to date, three of them – by Martin Prouse, Colin Meek and me – fit the bill. As you’ll discover next year, it’s nigh on impossible to avoid missing out various bits when trying to do the ’shed in a continuous push. For all that I tried to stay on the line as much as possible, and took in all the high/high-ish hills, in the Borders forests (eg Craik) I quite often used the nearest track to the route – which would have been near-impenetrable in places. There was also a stretch at the start of the Central Belt crossing where I stuck mostly to tracks and minor roads as I didn’t fancy wandering around in mineshaft country. I’m struggling to recall detail, but I think the only bit of significant hill country that I missed was a couple of miles north of Conival, as I’d dropped off west (in foul weather) to camp at Inchnadamph and then next morning rejoined using the path towards Beinn Uidhe. Sod’s Law meant that the chunk omitted included one of the more notable human-interest features on the entire route, as there’s seemingly an plane crash site where the bodies were interred rather than removed, hence it’s a war grave. Generally, my focus (as was Colin’s I believe, and also Martin’s from what I can recall) was on keeping the route continuous in walking terms. Hence, when I had a day off with friends for a wander over Gleouraich and Spidean Mialach (completely off-route but one of the best days of the whole trip in glorious weather), come next morning I deliberately sought out a particular fencepost west of the Loch Lochy Munros that I’d patted two evenings earlier when “signing off”. Pretty much every day involved lugging tent, sleeping bag, stove, several days’ worth of food, spare clothes etc (and this was in the pre-lightweight days – I couldn’t do it now), so there were occasional fine-tunings to be made because of that as well. Goodness knows what the actual route is down the north side of Ben Lui, as there are near-vertical slabs. I took a very steep route here, even with the heavy sack, but I’ve no idea if I stuck religiously to the strict line – I suspect anyone doing so would need rock climbing skills (or an abseil rope in descent). The northern nose of Bidein a’Coire Sheasgaich is a similar place, again taken in descent if heading north – I took a steep line here too (after quite a bit of skirting around and peering down gullies), but whether the precise watershed line is feasible for a walker is hard to assess. In 1987 I was out for a walk, and to enjoy myself. I did for the most part stick pretty obsessively to “the line”, but practical considerations such as those mentioned, and the need to descend sideways every few days for refueling and human-company purposes, were integral to the whole jaunt. There were also quite a few places where the actual summit of a hill wasn’t quite on the route, and here, with an eye to the bagging game, I tended to make little diversions while I was in the vicinity – eg to the main top of Sgurr nan Ceathreamhnan (the ’shed swings north from the lower West Top), on Sgurr a’Choire-bheithe (where the most westerly point of the entire route still isn’t the actual Corbett summit), on Stob Poite Coire Ardair, and so on. On reaching the oddly complicated (both in terrain and map terms) bit of country north of Loch Merkland, I was always going to take in Meallan Liath Coire Mhic Dhughaill, as although it’s not quite on the route it is the parent summit in the area where the east/west watershed ends and the north coast options come into play. Basically, I’d say there is no set way of doing this, and a variety of practical considerations will always hold sway for anyone trying to do the watershed as a continuous effort rather than piecemeal. The main thing is to persevere and have fun. It’s only a walk, after all. Thanks Dave. Enjoying it is of course the main reason for doing it. My aim is to keep the walking continuous of course, as on all my long walks, and also to follow the watershed as closely as possible. I'll have to deviate to pick up supplies but as with you I'll restart where I left off. My reasons for thinking you are the only person to have done a continuous watershed walk are that Martin Prouse only did the section from Rowardennan to Ben Hope (a fine walk of course) and Colin Meek gives his total distance as 650 miles while Peter Wright makes it 745 miles. I can’t remember whether the figures I gave in Walking the Watershed, 850 miles in distance and 100,000ft of ascent, did or didn’t include the various add-ons and extras – eg as well as the Gleouraich busman’s holiday, there was also an extra ascent of Ben Lomond while I was waiting for my support team to arrive. Clearly the Cape Wrath branch is considerably shorter than the Duncansby one (although it does include Foinaven, for my money the most impressive hill on the entire route), so I’d guess that my 850-mile figure does include the add-ons. Either that, or Peter’s 745 miles is erring on the short side. Re Martin’s 1994 effort starting at Rowardennan (I dropped him off and bade him farewell and good luck), this obviously omitted the southern stretch of the watershed and the first wee bit of the Highland stretch. But he did get to the northern end, as however one views the Wrath/Duncansby debate (and for me it’s a case of equal merit), the actual east/west watershed undoubtedly has its northern terminus on Carn Dearg in the Loch Merkland hills. Beyond that, it’s either a west coast / north coast route (ie Wrath) or an east/north one (Duncansby). Or indeed, as my friend Richard Webb has pointed out elsewhere, ending/starting with any of the less obvious north-coast watersheds (eg Whiten Head or Strathy Point) would be equally valid – it’s just that these points aren’t so striking on the map as Wrath and Duncansby, as they’re not corners. Incidentally, to go back to the question of who first thought of the watershed, it’s not recent, that’s for sure. 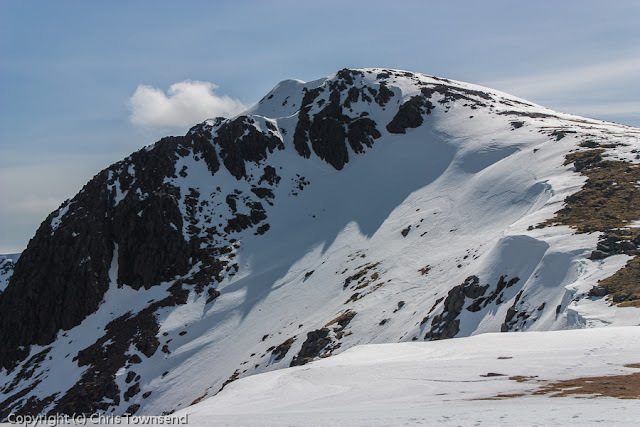 I came up with the idea in the second half of 1986 – I’d prefer to say that I “noticed it” rather than “discovered it” – but there was also mention in Martin Moran’s winter Munros book of the possibilities having been discussed. And when I first met Richard during the walk in 1987 he immediately sussed what I was up to, as he had already researched it before I started my own planning. There will almost certainly have been yet more people who worked out the route and gave some thought to the possibilities even before that. In retrospect, it feels like a pretty obvious idea, and I was merely the first person (as far as I’m aware) lucky enough to get themselves organised enough to go off and walk it. On the subject of how closely to stick to the precise watershed, I decided early on that my definition would be "if it's a blue line on the Landranger and it's flowing in one direction then I don't cross it". This had two main advantages: I was generally able to avoid suicidal crags, and I could legitimately cross the top sections of canals and drainage ditches. There are a couple of these ditches, the main one of which provides an overflow from the Clyde to the Tweed near Biggar. It only comes into use when the upper Clyde is seriously high. The other is a minor ditch in Caithness near the start/end. Of course there are plenty of lochans with outflows both ways (e.g. Lochan Fhudair NN201953) but it's usually clear on the ground which is the lesser. I think Mandelbrot would have a field day with the precise watershed and it would be infinitely long! Hence my pragmatic definition. Like Dave, I made sure the sections were joined up. A piece of string tied a fence post served as a promise to return the following year. Unlike Dave, my son and I did go through the forests, finding enough fire breaks to avoid the blue lines, but it didn't make for pleasant walking! Similarly, we took our chances with the mine-shafts and even manage to trespass across the workings just south of Shotts, by virtue (and coincidence) of the whole operation being closed for the day because of a local holiday! Off-topic for your walk, but one of the highlights in the Black County was deciding to take a canal tunnel under flowing water - but that's another story. On the subject of length, my own calculations for the Border-Dunc Head watershed itself came to 756 miles. Difficult to be very precise, but it's pretty close to Peter Wright's figure. I had previously gone as far as plotting the watershed on a touring map of Scotland. Strangely, I never really considered finishing at one of the corners. As Dave says, things get messy in Sutherland, but the watercourses between lochs Hope and Loyal do still seem to trend slightly North West and North East, and with this in mind, it seemed possible to pick a logical finish point directly north of the Marilyn Ben Hutig. Given that the two known mileage figures for the Duncansby version are pretty similar, it looks as if my higher figure for the Wrath version did indeed include all the add-ons. I tended to see the walk as a whole – including supply diversions and extra hills – rather than a sort of on-watershed / off-watershed split. Some of the diversions to meet friends who arrived bearing supplies were quite lengthy – eg out from Camban bothy to Shiel Bridge (having already crossed Beinn Fhada to take advantage of being able to dump most of the gear in the bothy), and then in due course back in from Morvich to rejoin the route on the east side of the Bealach an Sgairne. That whole diversion added something like 20 miles compared with the option (not that it really was an option in logistical terms) of ploughing straight on north – and there were similar deviations and convolutions at other points. I was only rarely in a car during those 12 weeks – often, come the weekend, I would walk out to the nearest sensible meeting place and see my friends there – eg out to Rowardennan before the Ben Lomond ascent(s). Without scouring old notes I can’t be sure, but the Gleouraich-day drive with friends to the Kinlochhourn bit of the watershed was perhaps the longest such journey, and even that was done partly out of necessity, as I wanted to bury some food given the difficulty of supply on the edge-of-Knoydart stretch. Actually, come to think of it, the lift I took down to Lairg for a couple of days’ break late on was probably a longer car ride. Overall, I hitched out to civilisation and supplies a few times – but made sure I didn’t let myself think about popping home for a break during the stretch close to Glasgow, as that could have been a psychological stopper to the whole outing and I didn’t want to risk breaking the spell. Chris - I was giving this some more thought last night and have been on Streetmap all morning! In theory - the watershed of Scotland (as opposed to the Scottish Mainland) doesn’t actually stop at the Pentland Firth. So if you are looking for ‘a first’ and are heading for Duncansby anyway, you could conceivably keep going and take in the watersheds of Orkney, Fair Isle and Shetland as well. The east-west or North Sea-Atlantic watershed is very well defined in Shetland and Fair Isle. In Shetland, the route would take in some cracking hills although it does seem to go straight through Tingwall airport! The only quandary would be what to do at the top of Dalescord hill. A purist might advocate swinging west to Mavis Grind (and the famous 100m gap between the Atlantic and the North Sea) and then onwards into ‘Tom Morton’ country with a finish at the Point of Fethland. A more aesthetic - and arguably more logical - alternative would be to keep heading north from Dalescord to Toft, up through the island of Yell (again where there is a definite watershed) and up through Unst to Finish at Hermaness with fine views out to Muckle Flugga and the Oot Stack, the most northerly point in Scotland. Things are a little more messy in Orkney though. A line from Tor Ness to somewhere north of Ward Hill looks logical on Hoy (although Heldale Water does appear to drain both east and west on the 1:25,000!!). There is also a logical watershed from Houton Head to Costa Head on the Orkney Mainland. However, after that it gets a bit tricky and it is not clear which of the outer isles should be included (with the possible exception of North Ronaldsay). Some local knowledge might assist. 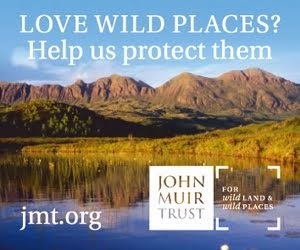 So – some food for thought – a first walk of the 'full' watershed of Scotland? Thanks David. I hadn't thought of Orkney, Fair Isle and Shetland. I'll have to think about that. Dave, I'll certainly view the walk as a whole, including supply diversions. I am planning on returning to every point where I leave the watershed though. I'm looking forward to reading about this as I live pretty close to the watershed, in Airdrie. I can see it from my window! Best of luck on the journey, and be prepared for electric fences and barbed wire in North Lanarkshire! [....]This, the geographic Watershed was first walked in full, by Malcolm Wylie in 1999. And the story of further completions and projects since then, just keep on growing. I have just come across this correspondence after reading Dave's book and posting a review on my blog, conradwalks.blogspot.com " Scottish Watershed" - 31st January 2013. In retrospect, some of the things I wrote in the post, and subsequent comments may have been phrased differently armed with much more information from this thread, especially relating to the original conception of the walk. I have also posted a copy of the review from my post on Amazon. The important thing is achieving what is satisfying for you and knowing you have given something your best shot within your own parameters. 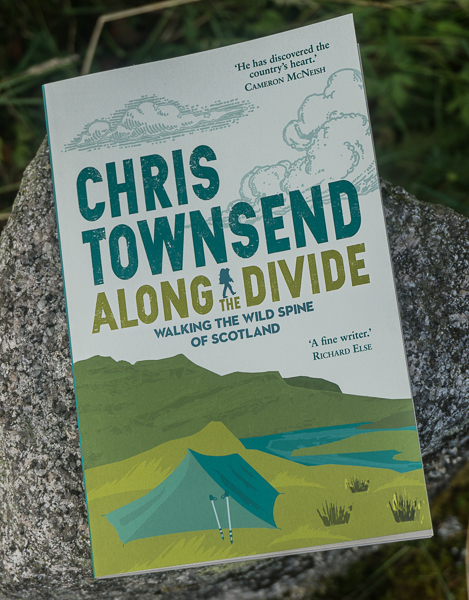 Thanks to Dave for his splendid book, and good luck to Chris on the walk. I look forward to reading his reports. Best wishes for the Watershed walk this year Chris. Although Peter Wrights book sounds fascinating and well produced and I look forward to seeing a copy sometime, I echo Dave Hewitt's disquiet that his watershed walk and Malcolm Wylies (which I'd not heard about) have not it seems been mentioned and acknowledged by him at all. It seems very disingenuous. I was inspired 15/16 years back by Dave Hewitt's 'Walking the Watershed' to want to walk the Watershed of the isle of Skye. I wanted to walk both south to north and east to west in both directions. Ideally it would be great to do it sometime in a continuous journey, though it is a pretty major undertaking of about 550km. Although I had done three sections of it before, I made a commitment to make a proper start to it back in March 2012, hoping for 4 days on the Sleat peninsula. After taking a train York to Mallaig on Friday 16th March 2012, I crossed to Armadale on Saturday morning and made my way down to the sound of Sleat to start and then had two glorious days walking the watershed. Camped the Saturday night by the summit of the most southerly 'marilyn' Sgurr nan Caorach, with a glorious starry night, with the condensation freezing inside my Vango Ultralite 200, a glorious pre dawn waning crescent moonrise over Mallaig and once light, wonderful view north west where there had been an overnight dusting of snow on the Cuillin. Weather was due to have a storm blow in for Monday 19th so I chickened out and stayed in a B&B with a very nice couple in Drumfearn. I'm dying to get back and do some more. Charles, Dave Hewitt's book is mentioned in the Introduction to Peter Wright's book and described as 'excellent' so it has been acknowledged. Malcom Wylie and Peter Wright have a joint letter in this year's May edition of The Great Outdoors setting the record straight as to who did what when so I think all that has been cleared up. As noted above Peter Wright has aso mentioned Malcolm's walk on his Facebook page. The watershed of Skye sounds a great idea. Chris what are the accepted boundaries for error on the watershed walk. Neil, I don't know of any accepted boundaries but I'd thought that in flat bog land a couple of hundred metres would be fine. Neil, glad to see you're having a go at this. Are you trying the English section as well, or just Scotland? I think all watershedders are entitled to define their own rules. My own boundaries were "if it's a blue line on the Landranger Map and is flowing I won't cross it". However, there are several lochans which appear to flow or ooze at both sides, such as on the ridge north of Conival (and some lochs such as Quoich which are dammed at both ends), and I chose the lesser of the two flows. I found the Caithness bog section a lot of fun, and finished up hopping through the lochan fields on occasions - a tad dangerous, as they can be exceptionally deep. I hope you enjoy the walk and I look forward to hearing how you got on. Hi Malcolm, No its not Scotland. I have been mapping the Shetland Mainland's Watershed. I have pretty much finished marking it up and walking it, after several revisits to the different sections. The maps don't give enough detail and I have found you have to walk it. I hope to re walk it in a continuous unsupported walk shortly as a warm up for this year TGO Challenge. It will be about 80 miles.